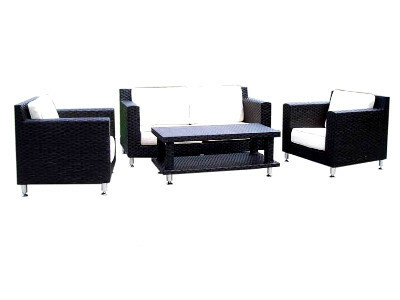 Discover this elegant four-piece living furniture set in natural color rattan with white cushions. This set will include two single chairs, one sofa, a coffee table, and cushions. 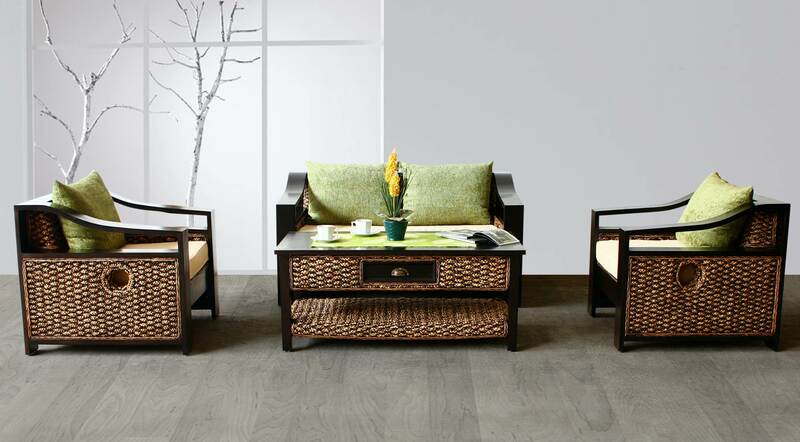 This set is a great way of sprucing up any living space.